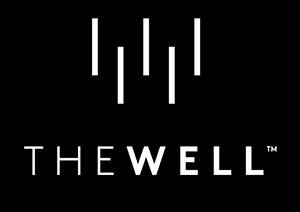 The WELL condos is a new project by RioCan and ALLIED coming soon to the Front Street West. This complex consists of 7 mainly residential towers in a grid – two rows of three, running east-west – with taller ones on the southern area, along with a 45-storey office tower tacked on to the southeast part. What Are The WELL CONDOS Features? The idea for a cat-themed park came from the landscape architect, who, when visiting the site, was often greeted by a friendly local feline celebrity Dizzy the cat who calls the area home. The Wellington promenade provides a needed physical connection between King Street West and Wellington Street, complete with a generous planting of catnip, black locust and eastern bud, as well as a nod to the mid-19th century aesthetic. The promenade is lined with a cascading water feature. Seating and lighting create a welcoming environment, while a series of cat statues adorn the space, providing a western counterpoint to the Berczy Dog Park on the eastern end of Wellington Street. Rail Deck Park Proposal:In Fall 2016, Toronto City Council endorsed a proposal for a new major park in downtown Toronto to be built over the rail corridor between Bathurst Street and Blue Jays Way.Known as “Rail Deck Park”, the proposed project brings green space into downtown Toronto on a scale no one imagined could ever happen.This highly anticipated and much-needed park borders the southern edge of The Well and transforms this unused airspace into Toronto’s newest gathering place for recreation, culture and celebration. Together with The Well, the proposed Rail Deck Park supports the continued growth, prosperity and livability of Toronto. RioCan is one of Canada’s greatest real estate investment trusts with an overall enterprise value of approximately $13.7 billion at June 30, 2018. RioCan owns, manages and develops retail-focused, significantly mixed-use properties located in superior, high-density transit-oriented areas where Canadians would like to shop, live and also work. Their portfolio consists of 267 properties, including 17 development properties, with a total net leasable area of approximately 42 million square feet. As a prominent owner, manager as well as a developer of metropolitan office environments, Allied Properties is well-known for enhancing work experience and improving profitability for business tenants in Canada’s biggest cities. Its actual goals are to provide stable, growing cash distributions to unitholders as well as to boost their value through superior managing and accretive portfolio growth.